Venus has to be 2 breaks ahead in order to have a chance to win. She makes too many bad unforced errors, a lot of time at crucial times. 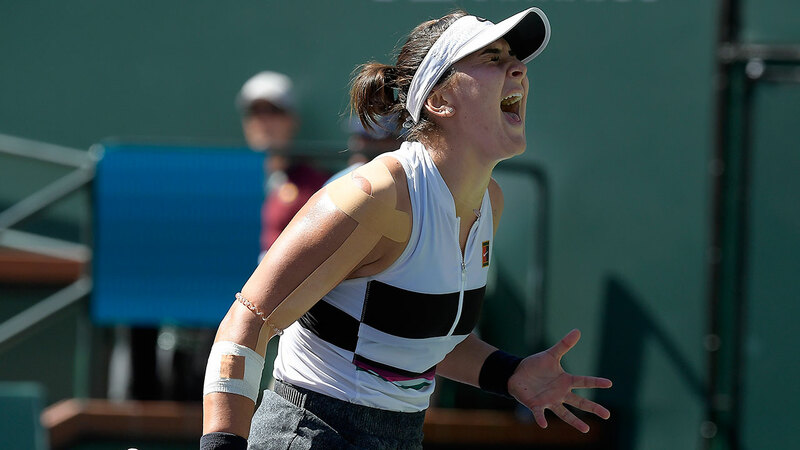 Andrescu is having the biggest fun of her life @ Indian Wells. Maybe next year it will be Kuzmova ... Still waiting for the breakthrough. Another victory day at Indian Wells !! This Andreescu girl is good. Andreescu is very confident in her game.. She trusts her shots and plays freely. Nice to see so much clear thinking, combining Power shots, Drop shots... Well done. She did it !!!!!!!!!!!! The girl with the "complete" game won. Power shots.. Loops. drop shots. The only thing missing is "moving quickly to the net" to put the floaters away. But she is only 18. With a good coach, she can add that to her already very versatile game. Bianca was pounding that ball. Great win for her! !